Here’s a DJ-friendly (320) netlabel-style release to celebrate the summer vibes. Dubbhism got four amazing remixes from the Irie Remix Contest, an exclusive dub by Peter Speakah (he also did the winning remix) and a special bonus track by co-judges Not Easy At All. The Not Easy mix brings an amazing clash of Leah’s vocalistics and Marcus Hillman’s wahwah guitar acrobatics, pushed forward by a huge bassline. Pure joyful noise. Peter Speakah is a very talented reggae producer, also from the Netherlands. 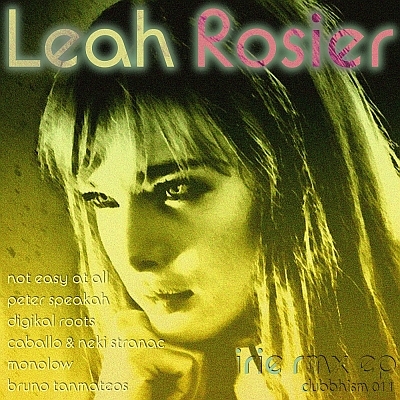 His remix was the undisputed winner of the Irie Remix Contest and for this EP he generously added a dub version featuring Natty D. The vocal mix will be featured on Leah’s forthcoming album. Digikal Roots demonstrates why it’s a good thing to have experience as a soundman. This is proper dub, heavy & clear mix. Caballo wasted no time when he heard that the Irie acapella was available. It took him less than 24 hours to come up with this sick edit of Neki Stranac’s Turbulence riddim. Epic & irie, moombahcore maddness, often imitated but never duplicated, immediately winning the popular vote.